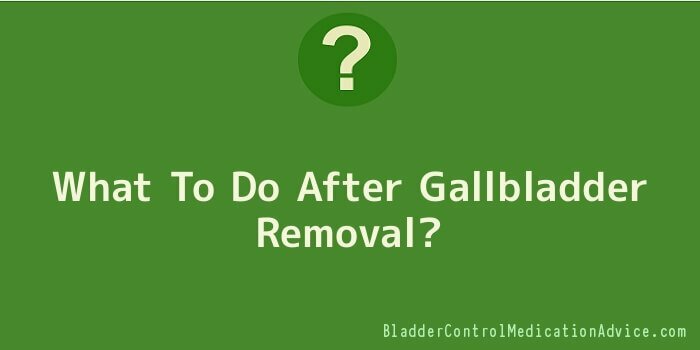 Recovery after gallbladder removal is not always the same for each individual. Others may experience a fast recovery from the actual surgery, while some may experience symptoms which are similar to the events that happened prior to having the surgical procedure. People may be surprised, and even alarmed, that they may feel some of the symptoms of gallbladder disease that they experienced beforehand. The medical term for the removal of the gallbladder is called cholecystectomy. According to various medical research the feeling of similar pre and post surgical symptoms, otherwise known as post cholecystectomy, is experience by about forty percent of the total number of people who underwent gallbladder removal. This may be due to the continuous accumulation of bile in the bile duct, and the body system has yet to adjust on losing a major organ like the gallbladder. Having post cholecystectomy symptoms may not be a common occurrence after surgically removing the gallbladder; however, there are several common discomforts that are closely associated with any kind of surgery. Slight bruise or swelling in the immediate area of the wound is generally expected. This is the same whether a person had la laparoscopic surgery, or an open incision surgery. As the wound heals, both the redness and the swelling will slowly dissipate and eventually be gone. During the gallbladder operation, it is a common medical procedure to induce air in the abdomen. This is done to give ample space for the surgeon to move around his medical instruments, while it is inserted for the removal of the gallbladder. There may be the discomfort brought about by gas, a feeling of bloating, and episodes of diarrhoea. To move too much around after post surgery is highly discouraged. Ample time must be given to propagate full recovery, and for the body to get accustomed to the changes in bodily function, or the loss of it. Whether you are getting up, sitting down, or turning directions, you may feel a lot of discomfort most especially during times that you need to go to the bathroom or take a shower. Make sure to keep the stitches around the wound dry so that the wound will heal faster and naturally. Checking what you eat and how you watch your diet after surgery, would definitely help bolster the healing process. Consuming light foods will help your digestive system to get accustomed to the slow process of breaking down the food. It would also help greatly if you keep on a low cholesterol or fat-free diet. Remember, that there may be lots of discomfort and trauma that can be experience in post surgery. You must slowly get your body accustomed to the change, and be sensitive even to the smallest of detail that you might experience. Always take heed of what the doctor may advice regarding exercise and proper diet. Your doctor will give you several appointment dates as you go along the healing process. Make sure to be prompt when it comes to clinic visitations after gallbladder removal.